Play Jack and the Beanstalk for real! Three years after NetEnt released the Jack and the Beanstalk video slot, Jack and the Beanstalk Touch® was introduced as well. The reason why Jack and the Beanstalk Touch® was introduced so late, has absolutely nothing to do with the video slot, its design, gameplay or extra features, but simply with the frequency NetEnt Touch® games are released. Nowadays new Touch® games are released monthly, but it took a while before this frequency was a fact. With over 150 existing NetEnt games, and new casino games released monthly, it’s almost impossible to catch up. 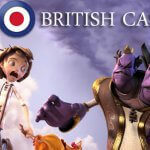 That’s why Net Entertainment, at least for now, has to make choices regarding new NetEnt Touch® games, the reason why Jack and the Beanstalk Touch® wasn’t released earlier. 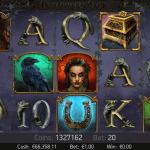 Nowadays video slots of such high quality are turned into a NetEnt Touch® game directly, often launched on the exact same day as the video slot itself. However, in the same time the Jack and the Beanstalk video slot found its way to the NetEnt Casinos, the first NetEnt Touch® games were introduced in the few mobile casinos available. 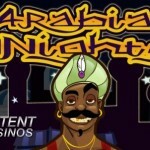 Better late than never, you can now enjoy Jack in the many mobile casinos available these days. Of course this NetEnt Touch® game tells you the classic tale of Jack and the Beanstalk. From paper to 3D, Jack takes you on an adventure to the realms of giants and riches. While your online casino journey starts with an exciting intro, showing directly what you can expect from Jack and the Beanstalk, this is unfortunately not the case with Jack and the Beanstalk Touch®. Looking at the design, gameplay, and extra features, absolutely nothing has changed. However, significant changes have been made to maximise the enjoyment for mobile users not losing any of the user-friendliness or quality of this NetEnt Touch® game. And as always, NetEnt has been extremely careful not to sacrifice any of the great gameplay and excellent graphics that made Jack and the Beanstalk so popular in the first place. 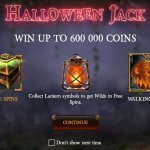 It’s not for nothing Jack and the Beanstalk Touch® belongs to the exclusive club of Premium mobile slots. Packed with extra features, Jack and the Beanstalk Touch® tells the classic tale of a boy on his quest for riches. This exact story can be found in the many extra features Jack and the Beanstalk Touch® is offering. The Treasure Collection truly portrays the story of Jack’s search for treasures in the land of giants. When Jack and the Beanstalk was released as a desktop game, none of the NetEnt video slots had the honour to be enriched with the Walking Wild feature. It is by now I’ve seen this original slot feature in The Invisible Man too. No matter if still original or not, it absolutely makes Jack and the Beanstalk Touch® a mobile slot game which cannot be missed as satisfaction is guaranteed when a Wild hits the reels and starts walking from the right to the left. Walking Wilds in the main game and in free spins can appear on any of the reels and progressively move to the leftmost reel after each re-spin. When ending up on reel one, only one re-spin will be left, as the Wild symbol disappears from the reels after this re-spin. Quite a magnificent feature if you ask me, especially when a Wild symbol appears on reel 5, with 4 re-spins as a result. Also wins with Wilds are tripled, giving you a chance for massive wins. 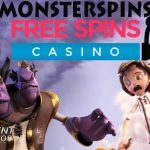 More of spectacular wins can be achieved when 10 free spins will be awarded by three or more Scatters, and no bet will be paid during these rounds. 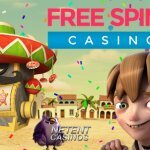 Even though no bet is paid during free spins, the reason spectacular wins can be achieved is simply because the Walking Wild feature will be activated during free spins too. This means re-spins will be awarded when a Wild appears on one of the reels, and Free Spins will temporarily stop in that case, to be continued after the Wild finishes its walk. Just as in the main game, the Walking Wild features multiplies all winnings with x3 during free spins. No matter if you would like to play mobile games on your mobile phone or tablet, all NetEnt Touch® games are developed for IOS, Android and Windows. Each of the mobile casino games boasts outstanding graphics, sounds and features, to ensure the game works seamlessly on all mobile devices. As long as your tablet or smartphone is connected to the world wide web, you will be able to enjoy the Jack and the Beanstalk Touch® and its outstanding package of extra features, a great design, as well as a very familiar story.